You’re not an average athlete, why drink an average sports drink? This high energy sports drink gives you quick sustained energy, indulge in the luscious taste of Melon Madness and Tropical Tirade. 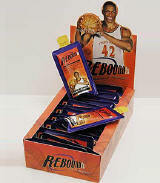 Rebound Fx (tm) is more than just a drink...its absolute performance. Unlike other sports drinks, Rebound Fx (tm) is a high energy drink that offers a balance of antioxidants, natural herbs and important minerals. Mix 1 ounce per 10 ounces of water, take before - during - after a workout. Dr Wallach is proud to announce the exciting addition of NBA superstar THEO RATLIFF to the Youngevity team. 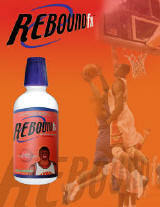 REBOUND FX, Dr Wallach's exciting new energy and endurance drink for exercise, workouts, athletics, jogging and more. out during that workout and get more energy and endurance to boot. Code #:13217 32 ounce bottle Tropical Tirade. How does your Sports Drink stack up? Rebound fx is not just your average sports drink. It is scientifically designed to give you sustained energy, refuel your body, and offers a balance of antioxidants, vitamins, minerals, and herbs. Tired Joints check out Liquid Gluco Gel.